Great product, at first just went down the line and did all three front then the back four and passenger three then front. It was loose and saggy in the front, the holes did not line up properly to put Freedom panels back on. I left it like that then I realized my mistake, took everything off then did the four corners first, and everything fit much better it’s taunt, the holes line up, it looks really good. Doesn’t really get in the way, I decided to go with the front and back sunshade for my dogs in the rare occasion I take the whole top off. Love this product, makes the Montana Sun more bearable in the summertime. 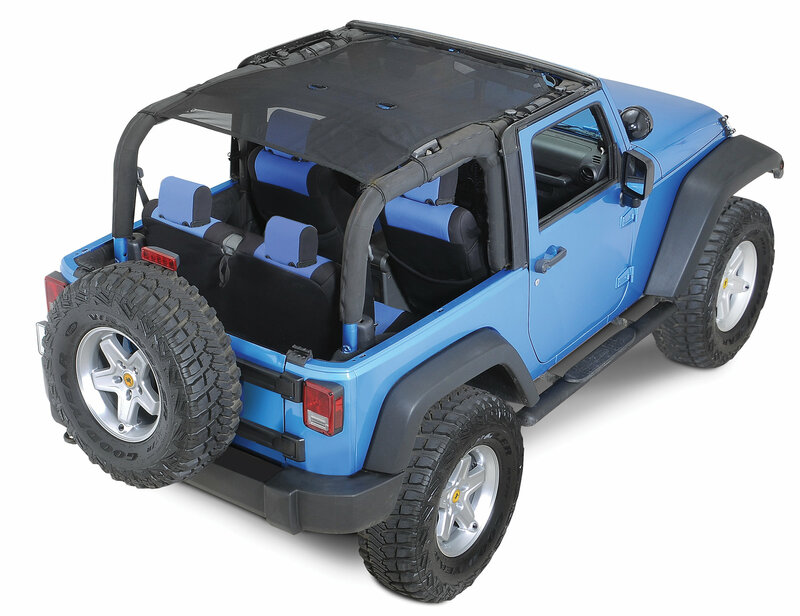 Really can’t wait to get the rugged ridge cargo netting for the top and back with separate window attachments. (keep my dogs inside) If it’s the same quality as this I’m sure it’s really nice. Easy to install. Keeps the direct sun from burning you up but you can still see though it.